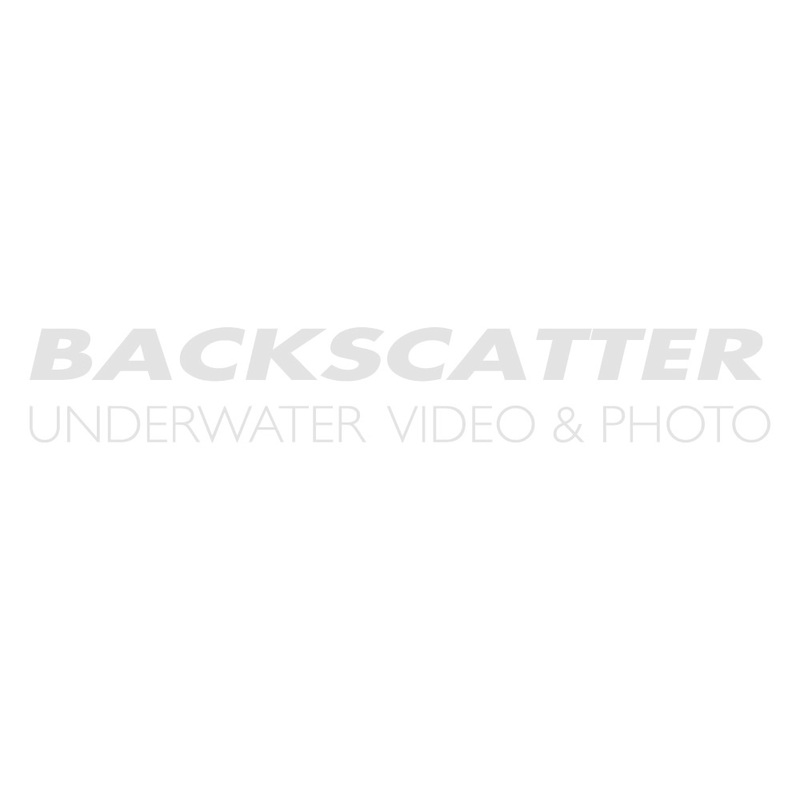 Backscatter stocks a great selection of Canon 20D Underwater Housing and Ports. Click the used link to view our pre-owned Canon 20D housing options or browse the Canon 20D underwater housing items listed below. Aquatica's Design team has refreshed the housing design for the 5D line of cameras with new improved operational ergonomics. This precision housing follows in the steps of a very time proven lineage of underwater camera housings for the constantly evolving 5D camera line up. Aquatica has been on top of the 5D program since they introduced the original one a decade ago, much like the 5D camera did. Aquatica's housing has evolved into a fine imaging tool that mirrors the constant evolution of technology and the input of highly respected professional image makers from around the world. Exceptionally good and ergonomic control placement. The A7D Mk II, successor to the wildly popular Aquatica A7D housing, boasts new improved ergonomics, a versatile port system and a rugged, yet compact design. Ergonomic comfort does matter and Aquatica has, yet again, lifted the bar higher in this sense with the release of their A70D housing. Our innovative design team has conceived a precise, under your fingertips, housing that does away with confusing and cluttered controls area. The Aquatica A70D is spaciously located for easy access, even with the thickest of cold water gloves and its vital functions have been extended to hands on the grip positions allowing optimization of underwater buoyancy. The new Aquatica AD500 housing is designed specifically for the long awaited Nikon D500 camera. With 21mp still image, 4K video possibilities, impressive level of low light performance, this Nikon D500 is a worthy addition to the DX format, a much appreciated sensor size for underwater photography. Aquatica is incorporating the ultimate comfort in ergonomics for this housing. The AD810 incorporates a multitude of refinements. Among them, access to the highly programmable Fn and DOF preview buttons. The many Custom Functions Modes roles that can be attributed to these two buttons sure made it worthy of Aquatica's attention. We have put together a simple yet sophisticated underwater photo and video package around the Sony a6500 mirrorless camera. In the Nauticam NA-A6500 underwater housing, you get the simplicity of a compact camera with the power of a DSLR system. The Sony 16-50mm Power Zoom Lens allows you to quickly and smoothly zoom while shooting 4K video.